I built this model based partly on reality and partly on science-fiction. Its colour scheme and markings are similar to those of the Falcon fighter aircraft in Gerry Anderson’s New Captain Scarlet (2005). 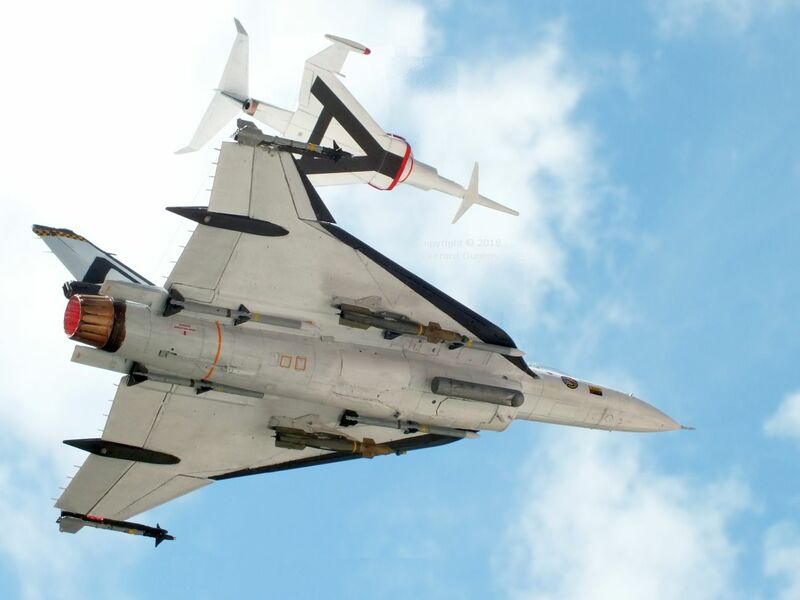 Those computer-generated (CGI) Falcons, with their ‘cranked arrow’ wing shapes, resemble the General Dynamics F-16XL. Gerry Anderson’s CGI New Captain Scarlet, which came out in 2005 (see my review) is based on the 1968 puppet-based science fiction series Captain Scarlet and the Mysterons by Sylvia and Gerry Anderson. Their best-known previous creation was Thunderbirds. My rationale is that, to replace their ageing MiG-241 Angel Interceptors of the 1960s show, Spectrum re-equipped with F-16XLs. They then replaced those with the Falcons portrayed in New Captain Scarlet. That the F-16XL is also a real aircraft is an extra point of interest, in my view. I feel it worth mentioning that I am a strictly amateur modeller. In other words, don’t look too closely! If something is too much effort to get right, I make it look as good as I can and get on with the next thing. I use a paint brush rather than an airbrush. Life is too short! 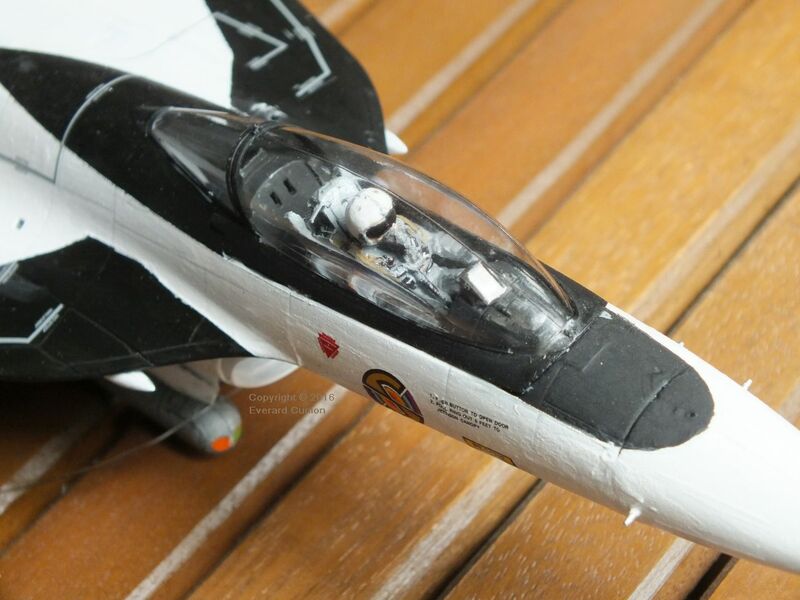 The Skunk Models Workshop 1/48 scale General Dynamics F-16XL is a wonder of the world. As model kits go, its price is only on the low side of extortionate. However, although it has a few fit issues (the nose cone, for example) you get a lot for your money. It includes decals (or what Brits like me call transfers) and painting instructions for two (actually three*) real colour schemes and three fictional schemes. Although the latter does not include the Spectrum colour scheme of the New Captain Scarlet Falcons, a remedy for that is readily available, as described in the next section. * The third real scheme: The kit instructions do not mention it, but the brighter colours along the top spine and fin were painted over at some stage to leave it in just the three-tone grey. One of the fictional schemes in the instructions is that exact scheme, the only fiction being the unit markings (decals). Therefore, it seems to me, for the third real alternative, you can use that paint scheme with the demonstrator decals, but omit the fin and spine markings. I digress. 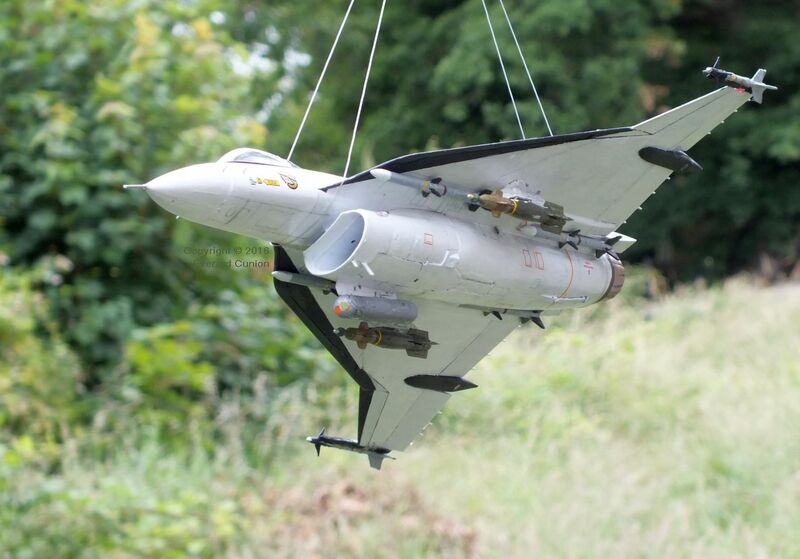 Additionally I bought an Airfix 1/72nd scale (actually ‘HO’ 1/87th international railway model scale) Viper, or MiG-241*, more commonly known as the Angel Interceptor, of the original puppet series Captain Scarlet and the Mysterons. I bought it to provide decals for the F-16XL. 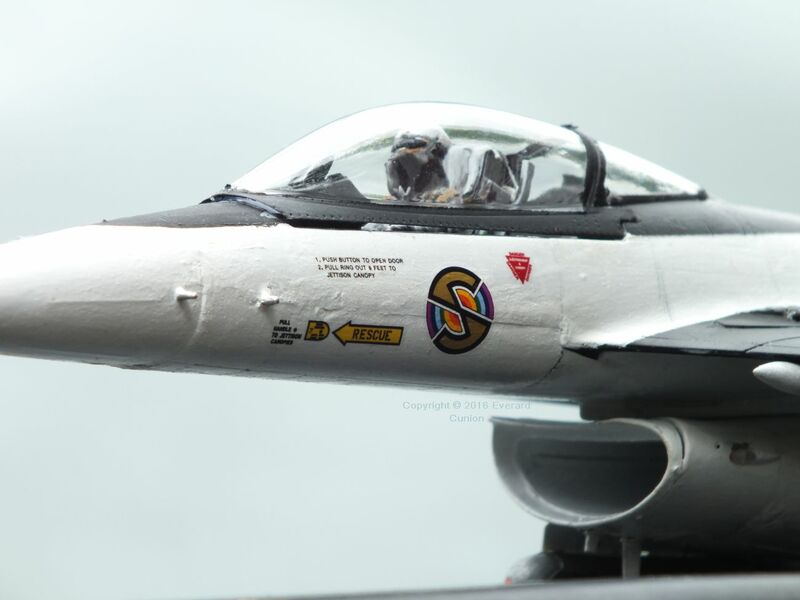 The Airfix kit decals are a bit small for the larger scale F-16XL, but the Spectrum roundel is too difficult to hand paint, so they had to suffice. Fortunately, the decal sheet of the Airfix kit comes with two pairs of spare roundels. Even more fortunately, the instructions depict the larger two roundels on the underside, but the weight of evidence is that there were no roundels on the underside, so the larger ones are doubly spare. Some things are just meant to be! * Why do I call the Viper a MiG-241? 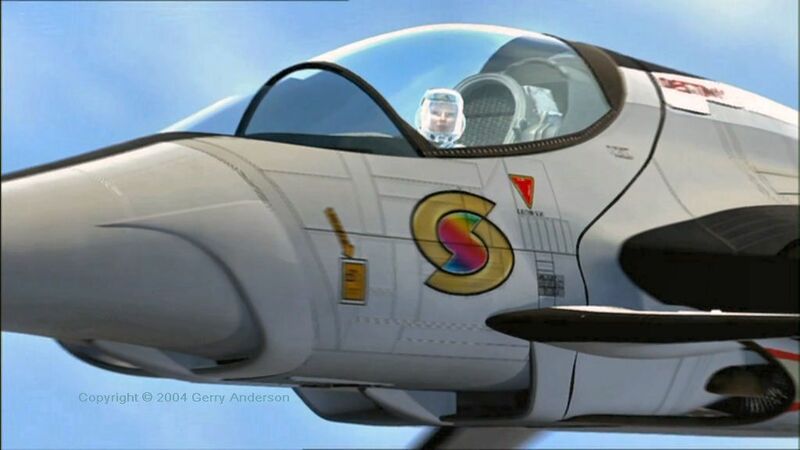 The first edition of Sylvia and Gerry Anderson’s Joe 90, which came after Captain Scarlet and the Mysterons, features the Soviet MiG 242, which is clearly a modified Viper Angel Interceptor. I used mostly acrylic paints primarily because acrylic white is a whiter white than enamel. This is only the second model on which I used acrylics. 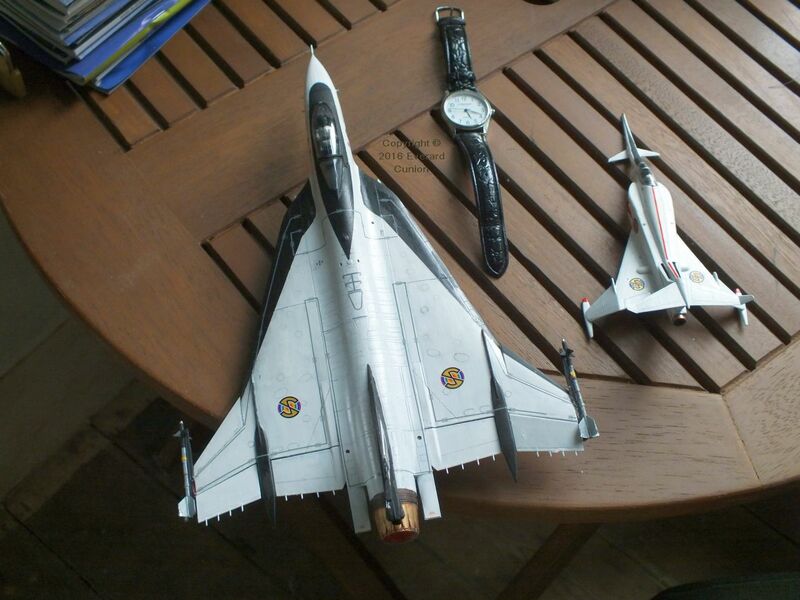 (The first was my Airfix Avro Vulcan, which is also mostly white.) Working with acrylic paint is a bit different from enamel painting, but I find it easier because the stuff is water soluble until it dries, which it does much more quickly than enamel. From water soluble goo in the pot to a hard and shiny waterproof finish in fifteen minutes is a transformation that you have to experience to believe, in my view. You wash the brush – don’t leave it too long – in water! 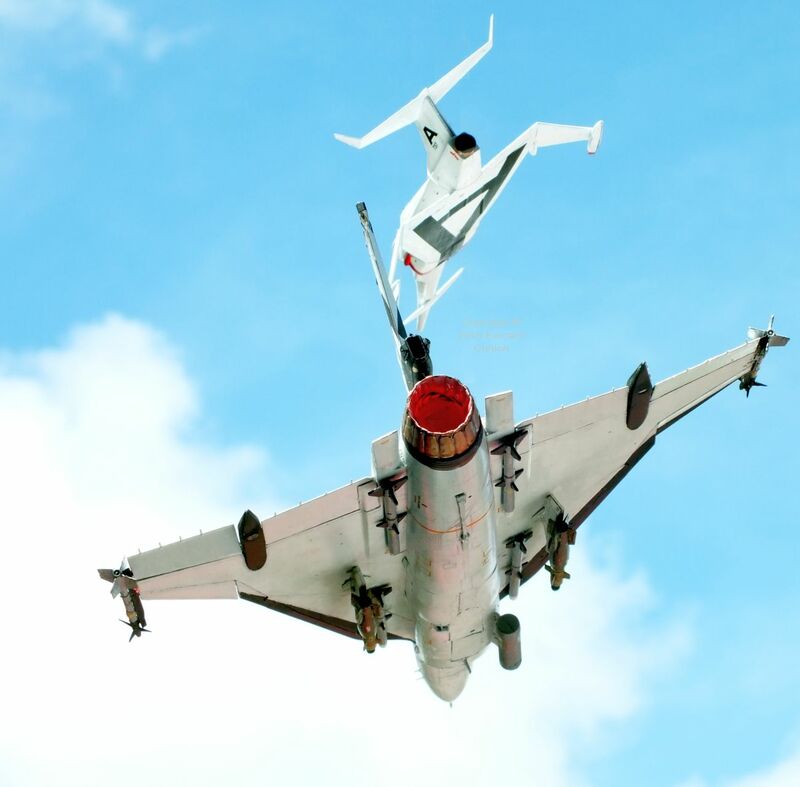 Notice how, in these photos, the MiG 241 appears farther away than the F-16XL. It is hanging directly above it! However, its smaller scale, when rendered in two dimensions like that, deceives the eye. The yellow and black checkerboard decals on the fin come with the kit, along with alternative black and white ones. I painted the black stylised A on each side of the fin with the aid of masking tape, which I also used when painting the black leading edges. Photos on the NASA web site are good for the burned metal of the outside of the exhaust nozzle. For the inside, I used white, yellow, and fluorescent orange enamel in an attempt to look like burning gasses (because mine is in flight). It did not really work visually because of the shape of the interior. 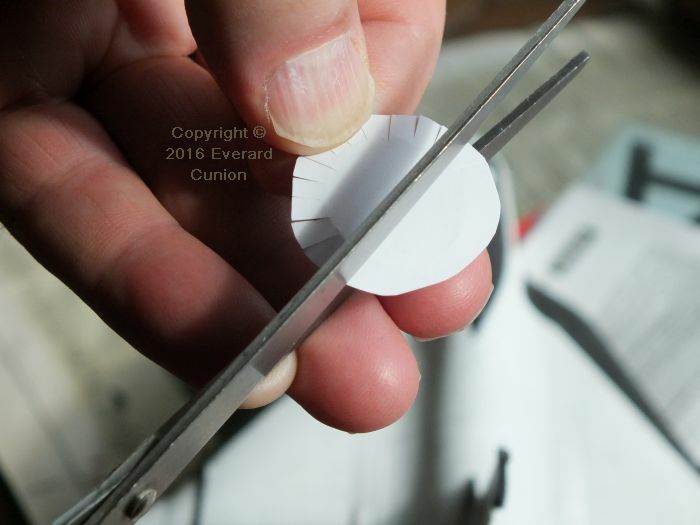 Therefore, I made a paper disc, which, when push-fitted inside, better reflects light to look like a glow. I built mine with the rudder kicked left and the ailerons deflected to match. 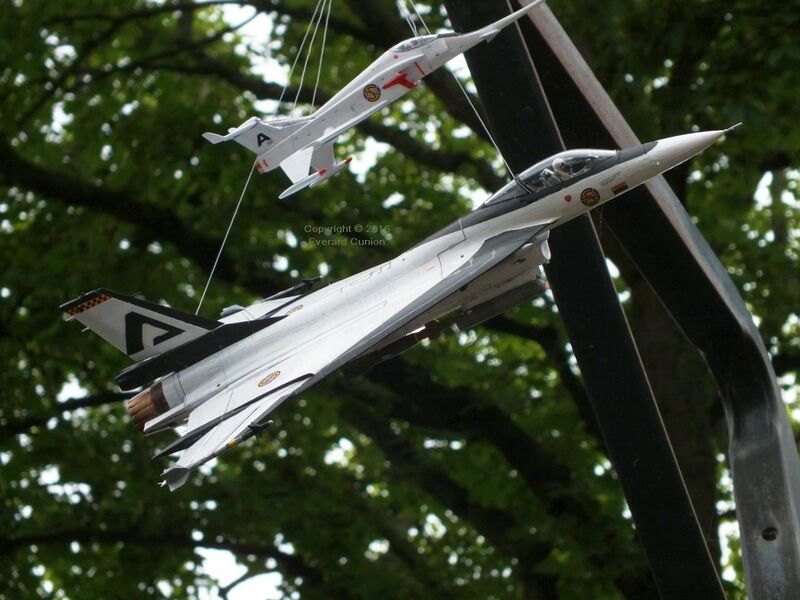 The F-16XL kit includes several varieties of crew rescue triangles and associated markings. None of them are really right for the Spectrum scheme, but I found some I like better from an F-4 set in my decals box. As the accompanying photo shows, the canopy is not on properly. I suspect that the pilot’s helmet is up against it. Not sure what to do about that, seeing as the pilot is well stuck in. My chosen pattern of black behind the canopy did not leave room for the pilot’s code name, so my model goes without that detail. 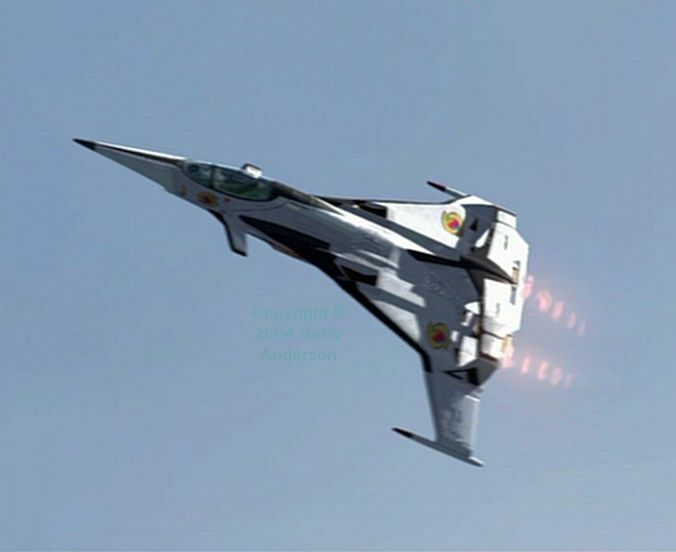 Although classified as interceptors, the Spectrum fighters are also used in the ground attack role. I used GBU-12s on the middle inner station under the wings each side and one AN/AAQ-14 pod on the starboard intake ‘chin station’. The kit comes with a large assortment of weapons, external fuel tanks, and two targeting pods. I describe the F-16XL build here. The smaller Angel Interceptor is a much simpler and much older kit. 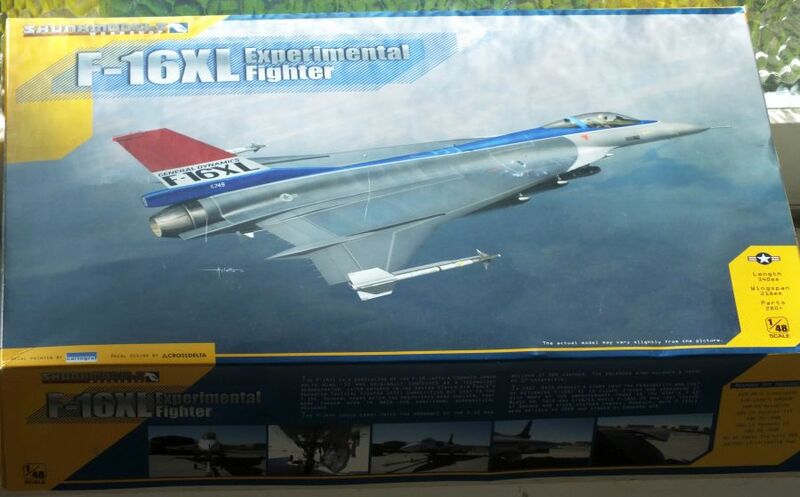 The F-16XL kit, in contrast, contains hundreds of parts. And its decals are numbered on the sheet up to 143… However, many of its parts are for other variants of the F-16, so are not used, which applies also to the large number of alternative bombs, missiles, and external fuel tanks. In addition, if you build it wheels-up, as I did, it becomes even simpler. 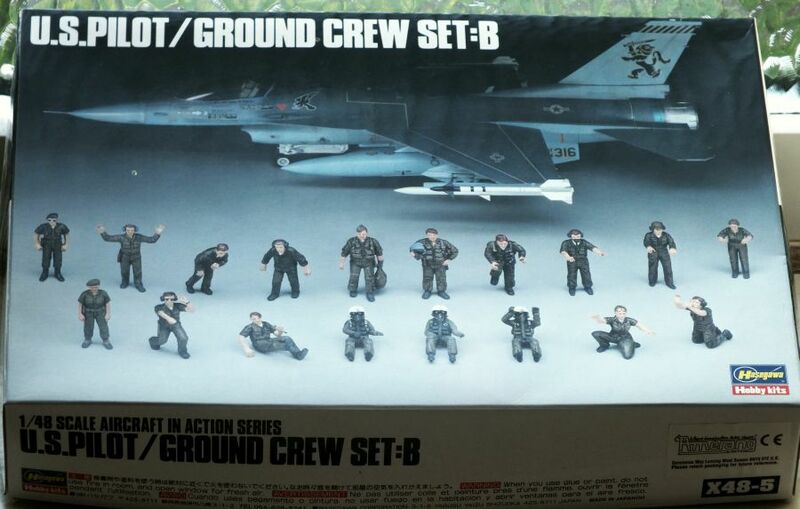 The F-16XL kit does not come with a pilot, so I used the Hasegawa 1/48 scale U.S. Pilot/Ground Crew Set:B to provide one. That caused problems evident earlier in this article. Bear in mind that everything, including personal equipment, needs to be compatible with the F-16, so there is no need to attempt to emulate the Angels’ Ned Kelly style helmets. Finished pilot in place. Calibrations are millimetres. 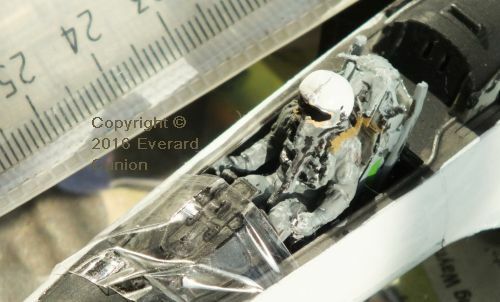 The top of the pilot’s head is too close to the canopy, but it was too risky to fix when I discovered that. Tip: Looking for the HUD? Try the other pack of transparent parts. There are two separate sets in individual cellophane bags. This screenshot illustrates the heritage of the Falcon in New Captain Scarlet. 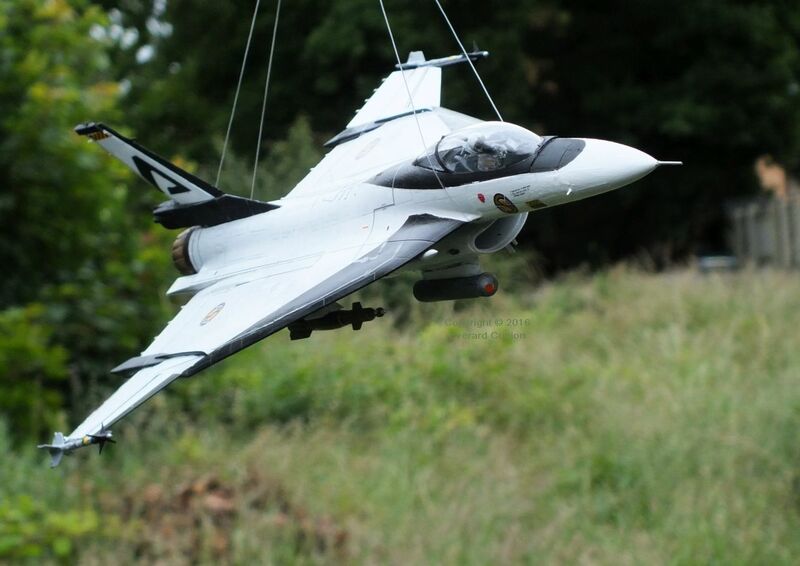 Its ‘cranked arrow’ plan form, canard configuration, anhedral wing tips, and the tapered nose with its thin black stripe all hark back to the Angel Interceptor of the original sci-fi puppet series. The new low and wide tail assembly likely results from height constraints imposed by its aircraft carrier elevator operations. However, the newer design is clearly more modern. In addition, the name Falcon, it seems to me, is likely a nod to the General Dynamics F-16 Falcon, which first flew more than five years after the Angel Interceptors were devised. What’s more, the sci-fi look of the F-16 immediately made the Angel Interceptor look old fashioned and clunky. MiG 242, another successor to the original Angel Interceptor (MiG 241) in Wikia Fictional Flying Machines. Warning: My web browser encounters numerous problems with that site.